If you are looking for a reliable way to decorate your walls, you have come to the right place! The superior wallpapering services of Real Painters will be the perfect solution for your decorating needs in South East London. We’ve got the correct tools, high quality materials and professional expertise to perfectly install your wallpapers and hide the surface imperfections which affect the beauty of your home. We provide experienced wallpaper hangers who will meet your decorating needs the first time. 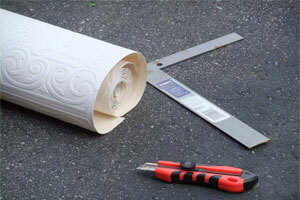 Our skillful decorators are able to hang wallpaper in a certain room in your house or decorate your entire property. They will give you a fast, accurate and quality service. For further information about how we can be helpful for you with our wallpapering services in South East London, call 020 3026 9530 or complete the online booking form on the site. Our office representatives will give you more details regarding our work or help you make a booking.